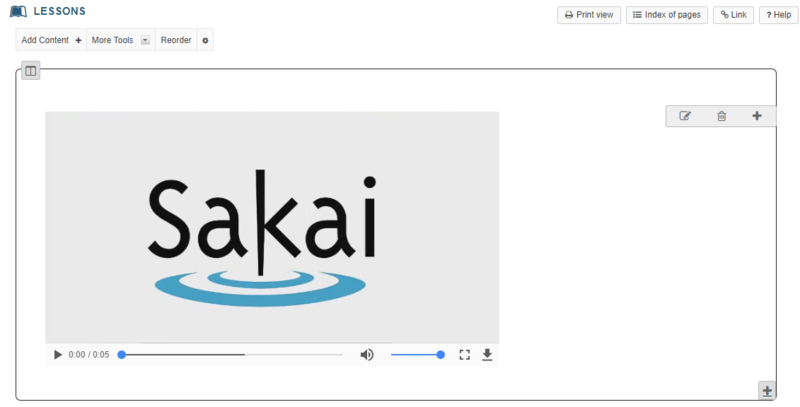 Sakai Community DocumentationSakai 19 User Guide (English) LessonsHow do I embed a video from my computer on a Lessons page? 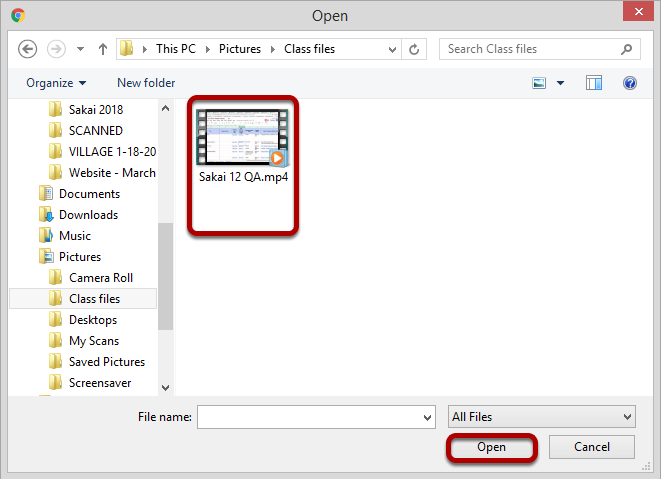 Locate and select the video file on your computer. Click on the file you would like to upload to select it and then click Open. The Lessons page will display the embedded video. Zoom: Add a description and/or adjust the video pixel size. Enter the desired Width and Height for your video in number of pixels, and/or enter a description in the Item Description text box. 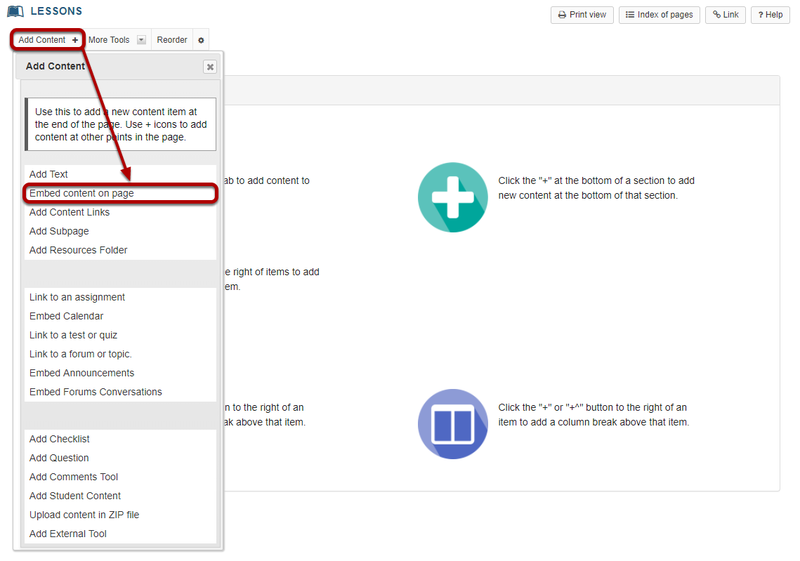 Then, click Update Item to save your changes and return the display to the Lesson Page with the embedded video and description. View updated item on the page. Zoom: View updated item on the page. Notice the video file location. Zoom: Notice the video file location. Note: The video will be uploaded to your Resources folder for that Lessons page. Uploaded videos are NOT streamed to the user. The larger the video file, the longer it will take the video to load on the Lessons page. Prev: How do I embed an image on a Lessons page? 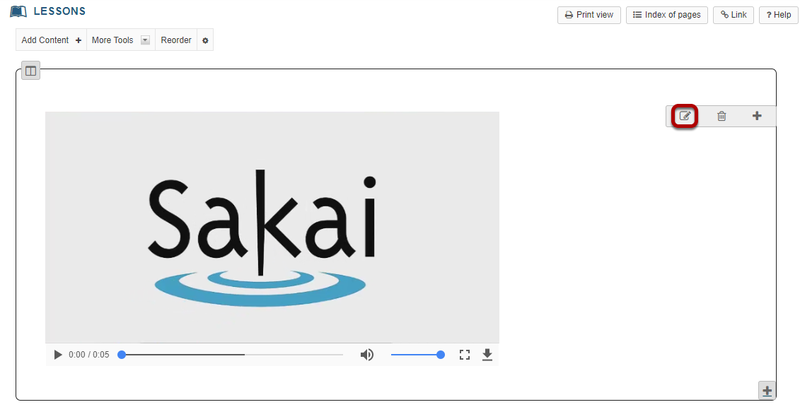 Next: How do I embed a YouTube video on a Lessons Page?